Building an impressive SEO presence for your website or blog is one of the hardest tasks imaginable on the web today. Not only does it take a significant amount of effort and dedication, but it also takes time – both passively and directly – in order to improve your overall reach and rankings. 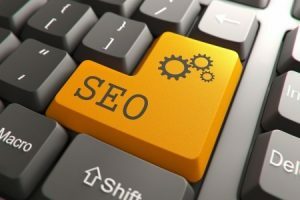 Keywords are one of many components used in SEO to better indicate to search engines how your content should be indexed, but not all keywords are created equally. In order to boost your overall SEO performance, we’ve put together a list of keyword types you’ll want to use in your current and future content. Whether you are targeting them via paid efforts like AdWords or through organic efforts, it never hurts to target your competitors’ keywords: in fact, it often helps! Think about all of the combined traffic across all brands that are in competition with you. Wouldn’t it be great if you could corner a greater share of this market? Well, you can if you begin pinging search engines with these related keywords. While you probably won’t overtake the competition when it comes to their own keywords in organic SERPs, you can ultimately rank relatively well and catch some of their organic traffic. They may not like it, but SEO is a contact sport. If you are offering one or more products, then you’ll definitely want to target related keywords in your broader SEO efforts. Even if your product is new or relatively unknown, cornering the market early on can potentially pay big dividends in the future. Additionally, the associations that you will build by interchanging more generic keywords with your product keywords can help improve overall SEO recognition for your specific products in other SERPs. If done correctly, you’ll soon be seeing results for your own products in more generic search results; this can help you rank in search results that you otherwise would have never reached. Last but not least, online brands can improve SEO results dramatically by targeting local and geographically relevant keywords in select markets. Even if your brand serves a much larger area, you can help drive traffic from specific markets through this technique. It is worth noting that the efforts should be relatively organic; do not try to stuff local keywords and phrases into your content where it wouldn’t seem relevant or organic. However, any and all brands can consider whether targeting a local market or area specifically is worth their time, and if so, can then proceed to create custom content for those audiences that will further boost their SEO potential. Pinging search engines with bad, weak or otherwise unappealing content for the sake of pursuing local audiences is not advised. With so many different categories of keywords to consider, your brand has plenty of possibilities. The three types mentioned here – local keywords, product keywords and competitor keywords – can help you gain more traction with select groups and audiences, and ultimately improve SEO. What groupings of keywords have been most effective for you? Let us know below in the comments!